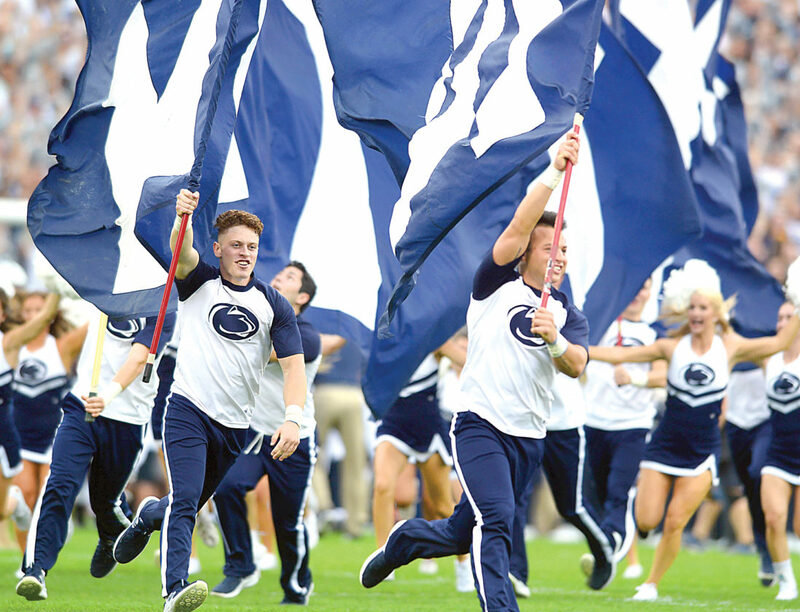 Penn State cheerleaders lead the Nittany Lions onto the field for the first game of the season Saturday afternoon at Beaver Stadium. Penn State topped Appalachian State, 45-38, in OT. See game story, Page B1.